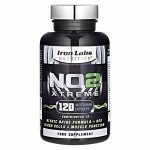 Iron Labs AC8 Xtreme Review | Buy or a Scam? ‘Extreme’ is a word often used for supplements, particularly ones that claim to help you improve your workouts or build muscle. Iron Labs Nutrition like to use the word to describe many of their products, and the Nutrition AC8 Xtreme even drops a letter – does this make it more or less extreme? In this review, we take a closer look at the Iron Labs Nutrition AC8 to see if it really is as extreme as it claims, or whether it’s just a bit of a damp squib. Read on to find out what we thought of this pre-workout supplement. Iron Labs Nutrition AC8 Xtreme is a powerful powder pre-workout supplement designed to increase metabolism and energy, used by dieters, athletes, and bodybuilders. It is not available to buy directly from the Iron Labs website, but it can be purchased from Amazon. 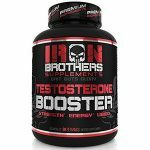 It is produced by Iron Labs Nutrition, who are a UK based company. What Are The Side Effects Of Iron Labs AC8 Xtreme? The supplement contains beta-alanine, which, although safe, can cause a tingling sensation, a little bit like pins and needles. This is called paresthesia, and although it is harmless and will wear off, it can be rather unnerving if you are not expecting it. In small doses, the ingredient shouldn’t have this slightly strange effect, but anything over about 0.8-1g will probably leave users feeling tingly. It also contains extremely high levels of caffeine. The recommended dosage for a healthy adult is 400mg. One regular serving of the supplement is 200mg, with many users doubling up. Side effects of consuming too much caffeine include anxiety and sleep disturbances, feelings of ‘jitteriness’, anxiety, increased heart rate, and palpitations. How Much Does Iron Labs AC8 Xtreme Cost? Iron Labs Nutrition AC8 Xtreme costs £15.78 from Amazon (20-40 servings), making it on the cheaper end of pre-workout supplements. If you are looking for something that is going to give you a huge caffeine boost, then this is the workout supplement for you. The high levels of caffeine will almost definitely have an effect, giving the user a buzz, even if it is for just a short time. However, that’s exactly what makes us a little bit nervous. That sort of caffeine level in one dose is not going to be good for anyone. On many supplement forums, and in many of the reviews on Amazon, users allude to a ‘standard’ dose of half a scoop, and an ‘xtreme’ dose of two scoops, which would be a huge dose. Looking at the images of the bottle, the recommended dosage is just half a scoop. It is unclear whether doubling it is something that users have chosen to do themselves, or whether the dosage instructions have changed at some point. It states that the container contains 20-40 servings, which does suggest you are able to double up on dosage, if you wish. We know caffeine is going to give you a boost, and creatine monohydrate is a great inclusion, but the rest of the ingredients and how much benefit they will bring about is a bit sketchy. They might help, but some, such as the citrulline malate, are so underdosed that they are unlikely to have an effect. This leads us to question the price. The fact it is inexpensive is great if you are on a budget, but we also wonder why it is so cheap, compared to similar products on the market. Is it because some of the ingredients are significantly underdosed or are poor quality? We are also not happy about the lack of information about the product on the website. It lists what it is supposed to do and the ingredients, without the quantity, but other than that, there is very little else. We usually expect there to be a reviews section, even if we do take them with a pinch of salt, but there is just nothing there. In terms of a money-back guarantee, there is a form to fill in if you are not happy with the product but that is it. There is an option to select where you purchased the supplement from, suggesting there may be the chance of a refund even if bought from a third party stockist. However, there is no information on the timescale or the actual process itself – which is we like to know before we purchase. We also noted that the tickbox to sign you up for the brands newsletter is pre-ticked, which goes against the GDPR regulations in the European Union. Taking all of this into account, we do not recommend Iron Labs Nutrition Xtreme to our readers. Iron Labs Nutrition AC8 Extreme is a pre-workout supplement in a powder form, designed to be taken by dieters, athletes, and bodybuilders. It is available in four fruity flavours: watermelon, fruit punch, tropical burst, and blue raspberry. It is produced by Iron Labs Nutrition, a UK based company. Iron Labs Nutrition were founded in 2009 and are based in Poole, UK. 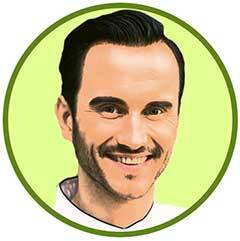 In 2013, they rebranded and became part of the Euro Nutrition Group. The products are produced in the UK in GMP and BRC Food certified facilities, and claim to use the best ingredients and extracts. The usage instructions on the tub state that users should take half a scoop (7.5mg) mixed with water, 20-30 minutes before a workout. However, many users on supplement forums and in Amazon reviews refer to a ‘standard’ dosage and an ‘xtreme’ dosage, which is double this. We are not sure if the product has changed it’s dosage recommendations. What Does Iron Labs AC8 Xtreme Claim To Do? Iron Labs Nutrition AC8 Xtreme makes very few claims about the product on their website, other than stating the caffeine will contribute to central nervous stimulation and increase alertness. Does Iron Labs AC8 Xtreme Work? The sheer amount of caffeine in the product will ensure that most users will get a boost of energy, so in that sense, yes, the product will work. However, caffeine is thought to work most effectively when combined with Theanine, which this supplement does not contain. The other products aren’t necessarily going to have much in the way of an effect either. Citrulline malate is a great ingredient, but with the optimal dosage thought to be ten times more than what it is included in this supplement, it is likely to be ineffective. Other ingredients, such as beta-alanine, have little evidence supporting its efficacy in boosting muscle performance or delaying the onset of fatigue. What Are The Ingredients of Iron Labs AC8 Xtreme? Creatine Monohydrate (1500 mg): This is a non-essential amino acid which helps to recycle cellular tissue energy. It helps to boost endurance and lean muscle mass. 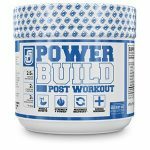 The International Society of Sports Nutrition states that “the tremendous numbers of investigations conducted with positive results from CM supplementation lead us to conclude that it is the most effective nutritional supplement available today for increasing high-intensity exercise capacity and building lean mass”. Dextrose Monohydrate (1250 mg): This is a corn sugar which is chemically identical to glucose. It is sometimes known as a ‘simple sugar’, and will give users a short-term energy boost by increasing blood sugar levels rapidly. However, there doesn’t appear to be any other nutritional value in it. The Colorado State University Extension reports that taking sugar, such as dextrose, right before a workout may impair performance by causing dehydration or low blood sugar due to the effects it has on insulin. Iron Labs Nutrition advise the supplement to be taken 20-30 minutes before a workout. 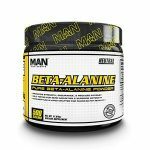 Beta Alanine (1000 mg): This is a naturally occurring amino acid which is often found in pre-workout supplements, although there is still little evidence to support its efficacy in boosting muscle performance or delaying the onset of muscle fatigue. Dosages over 0.8mg often lead to the user suffering from paresthesia – a ‘pins and needles’ type sensation, which although alarming if unexpected, is usually harmless. L-Glutamine (1000 mg): L-Glutamine is the most common free amino acid in our body and is a building block of proteins. It was thought for a long time that supplementing the amino acid would lead to better recovery because it helped to offset muscle damage. However, there is almost no scientific evidence to back this up. Most clinical trials seem to show that very little actually gets to the muscles – most is absorbed in the intestinal tract. L-Taurine (1000 mg): Taurine is an antioxidant ingredient which helps to increase blood flow. It’s often found in energy drinks, although, contrary to popular belief, it is not a stimulant. In fact, it is the opposite – it is a nervous system depressant, so will help users to feel calmer. This may have been included to counteract the effects caused by the caffeine and beta-alanine. Citrulline Malate (750 mg): This is a compound combining the amino acid citrulline with salt malate. It helps to reduce lactic acid and improve blood flow, helping to hold off muscle fatigue and increase endurance. However, the dosage contained in this supplement is considerably lower than what is thought to be effective. Caffeine (200 mg): This will speed up metabolism, which in turn will help you to burn fat, as well as increased focus and energy. This is a relatively high dosage. Does Iron Labs AC8 Xtreme Have Any Side Effects? Do not exceed the recommended dose. This is not to be used as a substitute for a varied and balanced diet and healthy lifestyle. It is not to be used by pregnant or breastfeeding women. If you are taking any medications, are under medical supervision or have any symptoms of illness, please consult a doctor before use. 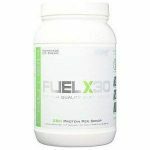 Using this supplement at the same time as other supplements may result in excess nutrition dosages. Please consult a qualified professional if you are unsure. Do not take other sources of caffeine whilst using this product and do not consume more than 400 mg of caffeine a day. It is not suitable for use by people under the age of 18. 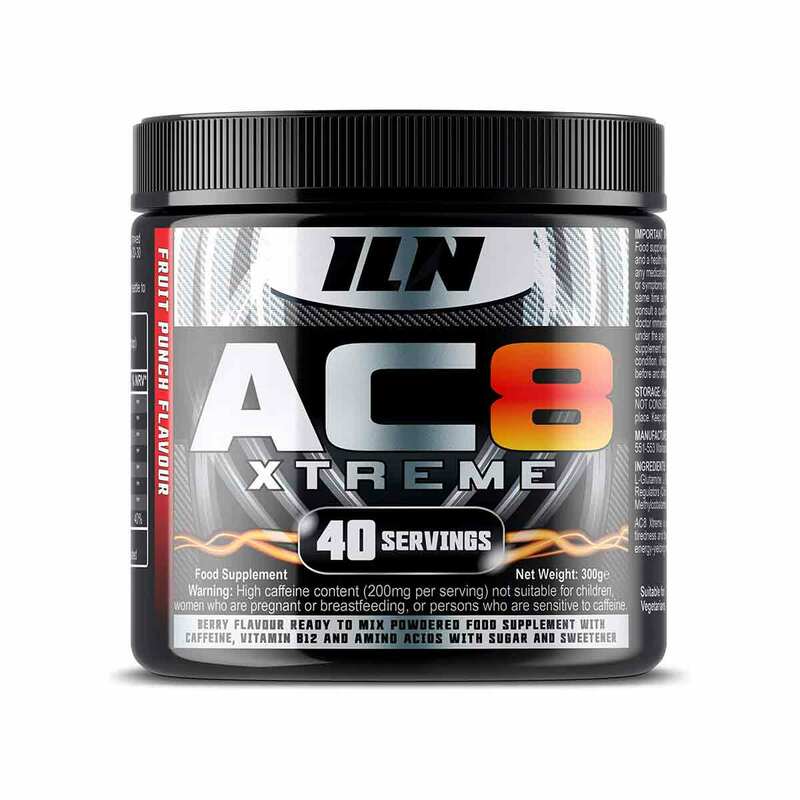 Are There Any Customer Reviews For Iron Labs AC8 Xtreme? There aren’t any reviews on the website, which find slightly strange. 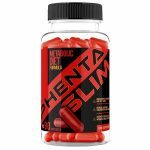 However, it does come recommended on many bodybuilding and supplement forums, although users do warn of the side effects of consuming a lot of caffeine and of beta alanine. The Amazon reviews are generally positive, but there are some comments about it not having an effect, or the caffeine having such an effect that they had to stop using it. Does Iron Labs AC8 Xtreme Offer a Money-Back Guarantee? There does appear to be some sort of guarantee, as there is a form to fill out if you are unhappy with the product. However, what the timeline for claiming your money back or the process involved is unclear on the website. 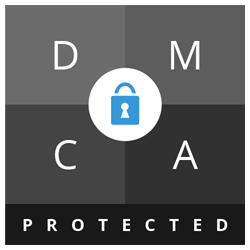 However, if you purchase it through Amazon, you are protected by their policy. Where Can I Buy Iron Labs AC8 Xtreme? You cannot purchase this from the website directly. It is available from Amazon. The RRP appears to be £15.78 for a 300g tub, which contains 20-40 servings, depending on your usage. The Muscle Watchdog does not recommend Iron Labs AC8 Xtreme.